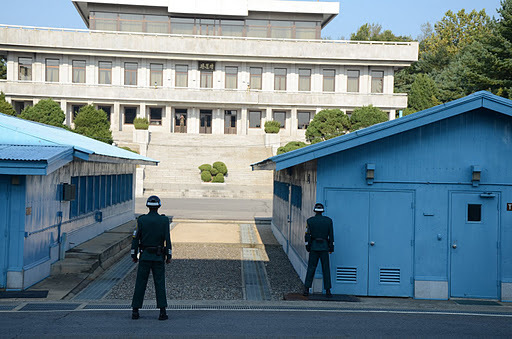 Panmunjom, the village near the DMZ, is located some 56 kilometers from Seoul. The Cold War had always intrigued me. In fact, knowing full well of the potential danger that lies ahead of me, curiosity got the better of me, and after much thinking, I decided that it was somehow worth the risk, to embark on a once-in-a-lifetime journey to see the last frontier of the cold war. Just how risky you may ask? It depends. Firstly, the two Koreas are still at war, technically. Secondly, you may be asked to sign an indemnity form, to indemnify the United Nations Armistice Committee and the US Army against anything tragic that might happen (touch wood) to you, if you decide to visit Panmunjom and the United Nations Joint Security Area (JSA). Mount Dora Station. 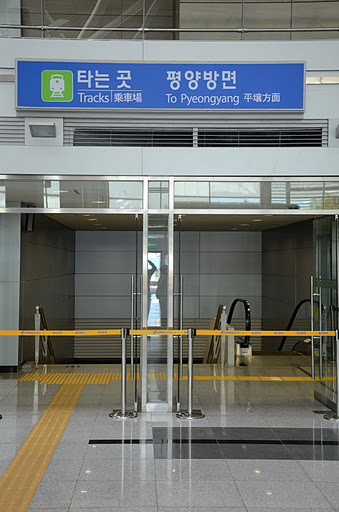 The last station in South Korea, connecting to North Korea. A visit to the DMZ is not complete without a tour guide, as a guide can be quite informative. What about going alone? Nope, getting about on your own is just not possible, due to the inherent danger that lurks ahead. Mines are scattered all over the place in the millions. Barbed wire fences, machine gun turrets. Anti-tank explosives. Well, you get the idea. 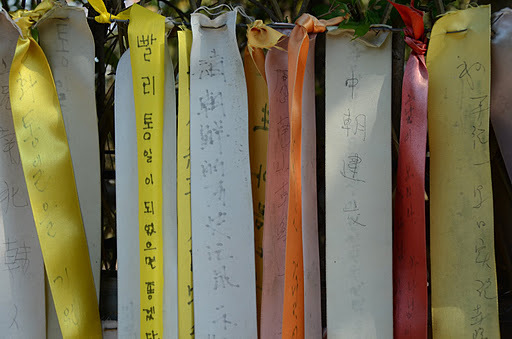 Prayers for a peaceful reunification of the two Koreas. Sounds serious enough to deter you from ever visiting the place? It shouldn’t. 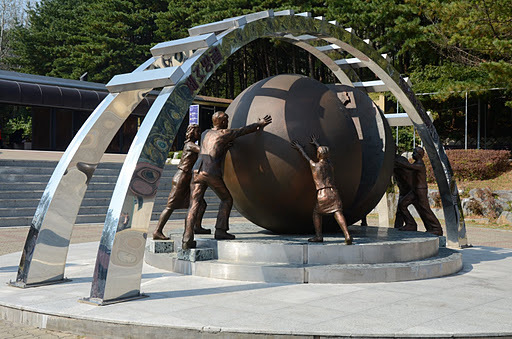 A visit to the DMZ is basically divided into two parts, depending on the tour you are following. 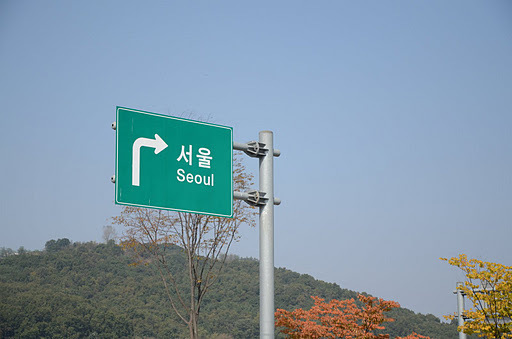 The first part is the ‘normal’ tour, which takes you to several places of interest near the DMZ (more on that later). The second part, is the one you should prepare for in advance. 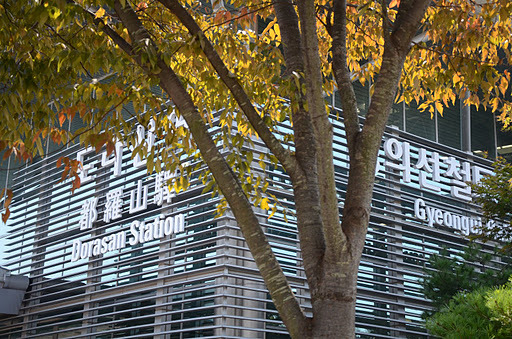 The second part involves a visit right into the heart of the DMZ. Yes, right into the no-man’s-land, the 4 kilometer wide buffer zone that separates the two Koreas. People were killed there before, so do behave yourself! The tour bus will stop at one of the checkpoints and an American GI will do a security check on everyone in the bus before you are allowed to disembark the bus and head for Camp Bonifas. 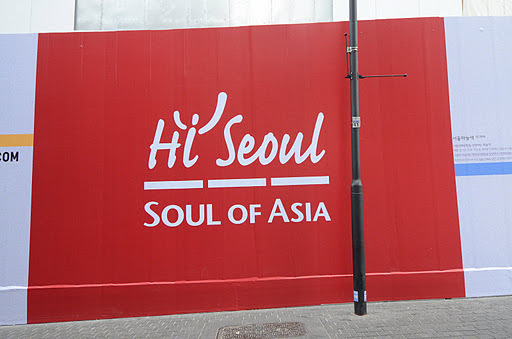 The place is, at least from first impressions, quite tourist friendly, and you can’t be faulted for thinking that the place is a tad bit too touristy to be a war zone, but the JSA authorities have done much to make you feel right at home over there. Nonetheless, the element of danger still lurks, and the threat of an invasion from the north is very real. You have been warned. The JSA Visitor Center, Camp Bonifas. If you do intend to actually get into the JSA, it is paramount that you prepare your passport. Be informed that citizens from Malaysia and Singapore, among other countries, will need to submit scan-outs of their passports at least one week in advance to the Panmunjom Tour Office at the Lotte Hotel near the Korea Tourism Organization office. The background check is necessary as this is a high-risk zone and I suppose you can’t have someone with malicious intent going there to start an second Korean War. Jokes aside. 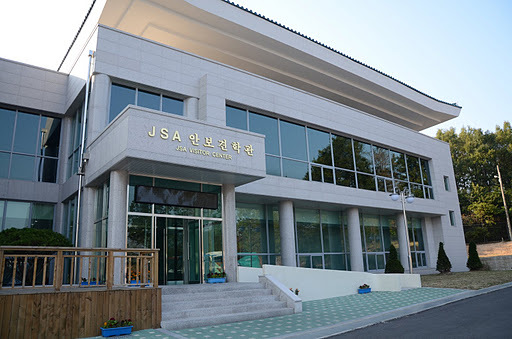 Photography in the JSA is limited to certain areas as they can’t afford to have photos of the site leak to the North Koreans which can prove to be strategically advantageous to them. I could go on writing but I think I’ll stop here. I’ll leave the rest for you to discover on your own. Want to go to Pyongyang? Nice article. Very interesting. Especially the guy with the binoculars. Haha. haha, yea. That guy was staring at us for so long. For a moment I was wondering if he did that out of sheer curiosity or just because he had to do his job. These people have been living under a coconut shell for too long.